Add Juniper to your Favourite Herbs list. Our Juniper is powdered from pure Dried Juniperus communis Berry without fillers, preservatives or additives and is freshly encapsulated for you at order or packaged as loose powder: the choice is yours. 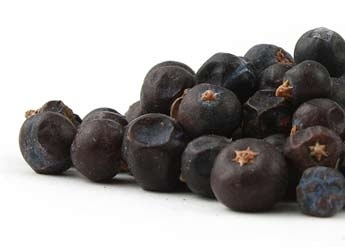 Have you smelled freshly ground Juniper Berries? You'll experience the scent sensation when you open our bottles of freshly ground and encapsulated berries. Juniper is traditionally considered by Herbalists to be hot and drying and has been a popular herb Worldwide for culinary and health use. 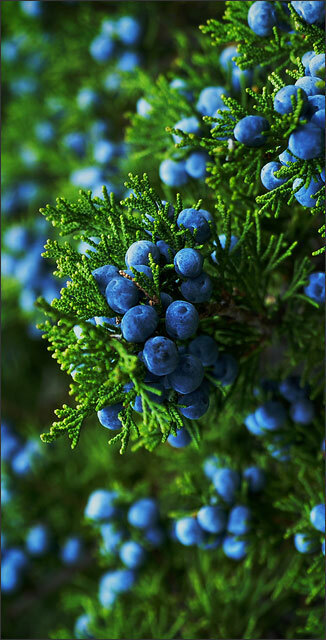 Juniper should not be used with kidney inflammation. Avoid excessive doses or long-term continuous use. onions, bay leaves, peppercorns and cider. gently cook garlic and juniper for 5 minutes. gradually add the stock, stirring until smooth. up first, for 3-4 minutes, then turn and repeat. Melt 3 Tbsp of the butter in a saucepan. gradually stir in the beef stock until smooth. of the mushroom mixture. Serve immediately. crisp on the outside but still soft on the inside. drizzle olive oil on the same side. Set aside. to marinate while you prepare the filling. pan until the fat runs and they re barely cooked. be necessary, but maybe a little pepper. lay them seam side down on a board. in seam side down and fry gently for 2 minutes. cream and whisk it into the stock off the heat. Bring back to the simmer and add the chives. accompaniment and pour the sauce around. coriander seeds in the cold wine for 24 hours.